The Starlink campaign also made a submission to the St Andrews & East Fife Local Plan (see below) and awaits developments with interest. Incredibly, Fife Council appeared to be arguing that building a railway could not be justified because of the ’significant negative environmental impact’ its construction would cause, which it apparently considered to be as bad as that of a new road! However this did not appear to be a consideration for a new St Andrews Link Road or a Cupar Relief Road (i.e. bypass). 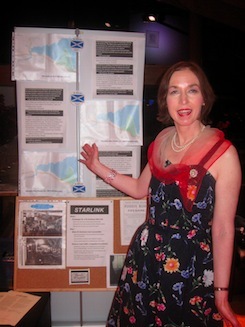 The Starlink campaign gained valuable publicity tonight thanks to the Friends of the Byre Theatre. 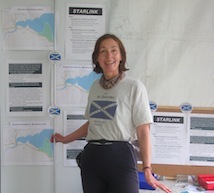 Initial results of a short questionnaire administered during the Scottish Seniors Open Golf championship at Fairmont near St Andrews show overwhelming support for a railway to the town and evidence that such a service could persuade motorists to leave their cars at home.